The National Disability Insurance Scheme (NDIS) is currently being rolled-out across most Australian states. This will continue until full roll-out happens over the next few years. As the NDIS is a significant policy change, it is being gradually introduced into regions over a number of years. Whether the NDIS is coming to your region very soon or whether it is a little while away, it is a good idea to start familiarising yourself with how the NDIS can support your child. This page briefly outlines the NDIS and provides information about the Limbs 4 Life ‘NDIS Parent Checklist’, a tool we hope will assist you when preparing for the NDIS. In addition, there is also information about the related Disability Loop program. Most children with limb differences will be considered as having a ‘permanent disability’ by the NDIS and, as such, should be deemed eligible for NDIS support. If a child acquired a limb difference as a result of a compensable accident (eg. car accident) he or she may not be entitled to NDIS support. The NDIS is designed to look beyond immediate need and focus on what is required across a person’s lifetime. It is a new way of providing individualised support to people with a permanent and significant disability, their families and carers. A lifetime approach. Long-term and sustainable funding, ensuring that the individualised care and support that people with disability receive will change as their needs change. Choice and control. People with disability can choose how they receive support, control how the support is provided and may be able to self-manage their funding allocation. Social and economic participation. People with disability will be supported to live a meaningful life in their community in order to reach their full potential. Focus on early intervention. Investment in remedial and preventative early intervention to improve outcomes. The NDIS provides ongoing funding for all ‘reasonable and necessary’ disability equipment, care and support services. The NDIS sets out guidelines to assist in determining eligibility and what can be funded. Once deemed eligible, children with limb difference may use their NDIS funding to cover the cost of prostheses, aids and equipment, home modifications, some therapy services and other resources they need to have ‘a good life’. If deemed eligible, you may find that your child will be entitled to products and items that are of greater value than is provided through current government funding. As a parent or carer, once your child has been approved as eligible for NDIS support you will meet with a ‘NDIS Planner’ to collaboratively determine what your child’s needs and goals are. It is likely that you will be meeting with your Planner many times over the course of your son or daughter’s childhood. Once your child reaches 18, he or she will continue to meet with a Planner, as NDIS will continue to provide support through adulthood. The best way of staying up-to-date with NDIS information and to find out when it will be available in your local community visit www.ndis.gov.au You can also register to receive NDIS updates if you wish to do so. Limbs 4 Life has developed an NDIS Parent Checklist to assist you, as the parent or carer of a child with limb difference, to prepare for a NDIS meeting. This Checklist is broken into two parts, one section exploring your role as a parent / carer and the second looking at the unique needs and goals of your child. 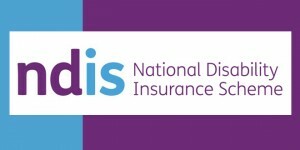 A brief summary of the NDIS, and online links for further information, is also provided. Click on the button below for a copy of Checklist. The Checklist includes an array of questions regarding your role, your child’s needs and goals, support needs, prosthetic device/suspension needs, aids and equipment needs, and assistive devices and technology needs. Tables and tick boxes are also provided so you can record responses. It can also be used as a thinking tool, as you will benefit from being prepared prior to meeting with your NDIS Planner. The Checklist can be used to initiate discussions with your NDIS Planner and will help you to record key issues that you may need to raise with NDIS staff. We hope it helps you, and your child, to prepare for a smooth transition into the NDIS. Don’t hesitate to contact Limbs 4 Life at any time if you have any questions about the NDIS.